2011 is making way for 2012 and we get to look forward to a dark January, an escalating Euro crisis and the chaos/excitement of the London 2012 Olympics. It’s not all doom and gloom though as it’s time to take a look back at 2011 and evaluate just who the movers and shakers in the beauty industry were- and think about what will be big in 2012. I’ve previously introduced you to the top ten strange beauty trends in 2010, and in the same vein I’m going to reflect on how the beauty industry has advanced in the last year. Sure there have been the usual celebrity fragrances/product lines/ faces stuck on any old tat, but I’d like to dig a little deeper than just trot out that Kate Moss and the TOWIE girls are doing well. We all know that- what’s more interesting to me is looking at what else is going on in the beauty world. The magnetized nail trend has been very popular in 2011, with numerous brand falling all over themselves to offer women the chance to create a strange gradient effect on their nails. Aping the Crackle craze of 2010, these nail varnishes work by using a formula that contains iron filings in the mixture. 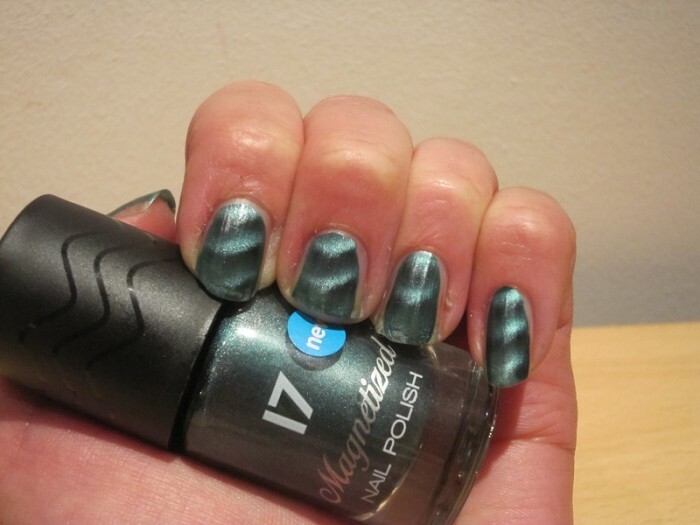 You apply, wave the attached magnet (normally in the lid of the product) over the nails, and voila, a cute ripple effect. Yes, you may well have done this when you were 12, but that just goes to show you how circular beauty trend can be- and the effect is very pretty. Nail Art used to be the exclusive domain of nail salons and airbrush equipment but new developments mean that anyone with a reasonable steady hand and a spare half hour can be a nail art maestro. 2010 saw the popularity of home nail wraps/stickers emerge, and we’ve seen many brands rush to hop on that bandwagon, with Myleene Klass creating a range for JML, Nail Rock bringing out regular limited editions and Giles Deacon teaming up with New Look to create a nail sticker range. As well as stick on products, we’ve seen a rise in actual nail art tools for the home, letting anyone be a nail tech on their own. YouTube videos and how to guides have never been more popular, and Models Own started cashing in with their Nail Art pen- which saw record sales. Topshop is now doing their own version, LAQA & Co do a beautiful Selfridges version and Stargazer offer more budget options. It’s a fun way to get more creative with your nails- and all the above looks were created by yours truly (minus the top right image). Orly are set to launch their Instant Artist Nail art products in the UK, which take this even further with dotter and striper tools allowing everyone to create their own cool looks. With related products like the Red Carpet Manicuren system just launched in the UK (which allows you to create gel nails at homes, and gives you a LED lamp to cure them) I wonder if the popularity of DIY nails will hurt nail salons? 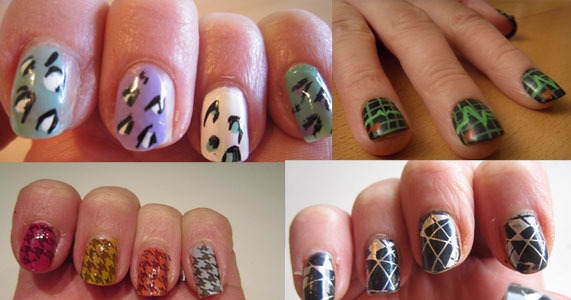 If 2010 was the year of the nail wraps, 2011 was the year of lip wraps, or lip art, if you prefer that term. We’ve seen two new brands burst onto the scene and offer up something completely different and unexpected for the lips. 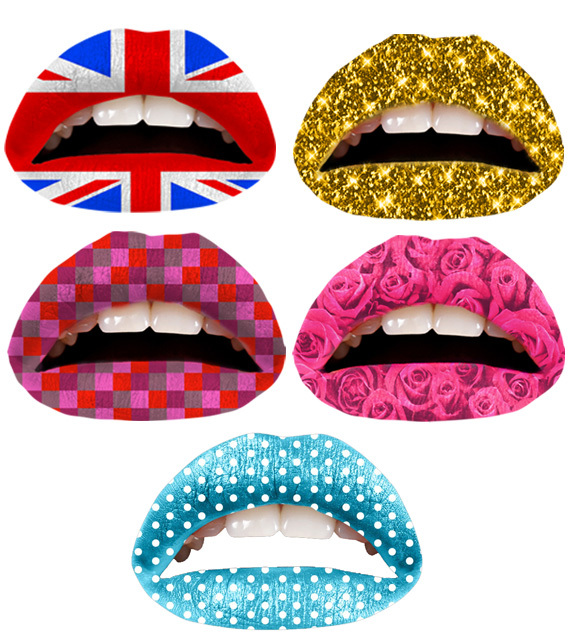 Violent Lips (pictured above) offer temporary lip tattoos in a variety of cool and quirky designs. They’re a little complicated to get the hand of, but once on you’ll be rocking the coolest pout in the room. Glitzy Lips do a similar thing, but they’re all about a metallic foil finish and there’s a lot more cutting and gluing to make them stay on. I think both brands are incredibly creative and love that they’ve brought new life to the face, and are making people rethink their beauty looks. Tesco is not the first place you think of when you’re looking for a hair salon, but they’re trying to get you to rethink that notion. It’s not such a crazy idea- after all, shopping is when you have a little time for yourself and if you can fit in a quick leg wax or blow dry, why not? Sure, maybe get that wax done AFTER the shop, rather than before, but I like the concept. Prices have been kept cheap; leg waxing from £10 and haircuts from £12.50, but the concept is still on trial. 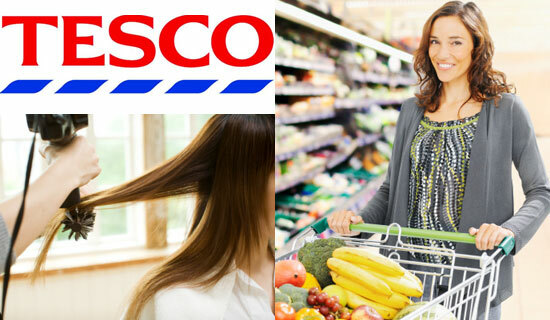 As of right now, Tesco ‘Your Beauty’ salons are operating in Chesterfield and Leicester with threading chairs and nail bars in Milton Keynes, Cambridge, Manchester and Wembley. In a similar but equally surprising turn of events, we’ve also seen high street beauty retailer Superdrug offer in store beauty treatments- but they’re of a rather more cosmetic nature. We’re familiar with places like MAC or Shu Uemura offering makeup applications and false lash treatments, well now Superdrug are offering Botox and IPL treatments in store. They have teamed up with Cosmedoctor and offer theses services at a reduced rate (making it better value) and so far only do this at a few select stores so far, but are expanding every day At the moment there are treatment rooms in Superdrugs in York, Wimbledon, Kingston, Twickenham, Kensington and more. Every year sees new serums hit the market, all promising amazing skin, refined texture and minimized pores. Every year we buy into this, shelling out our money for the latest wonder product and are often underwhelmed by their efficacy and come to resent our purchases. 2011 was no different- but they did have a few serums that stood out in the crowded marketplace. First up is BioEffect EGF serum which has seriously revolutionized the market. EGF stands for Epidermal Growth Factor which is a substance which occurs naturally in human skin and which speeds up the rate of cell turnover within the skin. The creators of BioEffect have actually won a Nobel Prize in medicine for their research into the role of the EGF cellular activator in cell biology, and the everyday application of this serum has turned it into a cult hit very quickly. Created in Iceland, it’s produced in a specially created greenhouse and planted in volcanic pumice and there are only 9 ingredients in the formula. It’s anti ageing properties are impressive and daily used really tackles fine lines. Suitable for skin of all ages ( a rarity in the serum world) a few drops is enough to cover your whole face, which makes the price tag more palatable, and the results are smooth shiny skin which has a radiant glow. Next we have Lancome Visionnaire which is part of the L’Oreal prestige beauty group. They’ve developed this product within their high tech labs and named it after the LR2412 molecule which forms the basis of this formula- so named as it took them 2412 attempts to get to this exact specification. This plant derived molecule holds 17 patents, and the formula is very gentle to use, giving the skin a luminous quality and evening out texture. They say it ‘ sets off a series of tissular micro-transformations’, I say it’s pretty impressive and worth every penny. Perhaps it’s not a surprise that the new people’s princess has been aped at every turn, but as well as how to guides on everything from Pippa Middleton’s posterior to Kate’s flowing brown locks we’ve also seen a slew of products that ape the lovely ladies with varying degrees of humour. 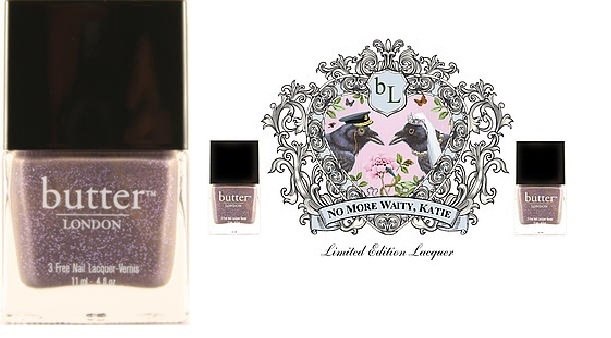 We’ll never reach the frenzy that was the height of souveneir extreme on the Royal Wedding Day, but we have seen nail varnishes called ‘No More Waity Katie’, nail stickers with the Royal Couple on them and multiple products saying they have the ‘Royal stamp of approval’. Well, it has done wonders for Yardley London, and the press releases with the sisters beauty secrets show no end of slowing. Just imagine how crazy it will get when Kate gets preggers- could I be predicting a Royal Baby Beauty Boom for 2012? This category is a little bit of an amalgamation as it actually encapsulates nails, lips and eyes, but even though I’ve touched upon this already I feel that the adhesive qualities of many of these beauty products needs an extra stress. Sure, you stick on nail wraps and you stick on Lip tattoos, but we’ve also seen high end brands adopting this trend, and none more prestigious than Christian Dior. Last year they embraced elegantly designed temporary tattoo art, and this year they’ve embraced black winged eyeliner- stick on style. Called Dior Velvet Eyes you get a variety of stick on eyeliner shapes, all to enable you to get that perfect winged eye completely fuss free. Swarovski have also embraced this concept and released products with Nail Rock called Swarovski Eye Designs where you can create beautiful crsytallized eye looks- great for party season. MAC is well known for their fondness and friendship with bloggers but in 2011 they took this to a whole new level with their exclusive Bloggers Obsessions collection which had a limited edition run and involved nine high profile beauty bloggers each creating their own shade of lipglass or eyeshadow. These bloggers including Temptalia and The Makeup Girl Nitrolicious and more, and was a worldwide first in terms of blogger/brand beauty mashups. I’m hoping they might come a knocking when they decide to do something similar with UK bloggers.. pretty please? 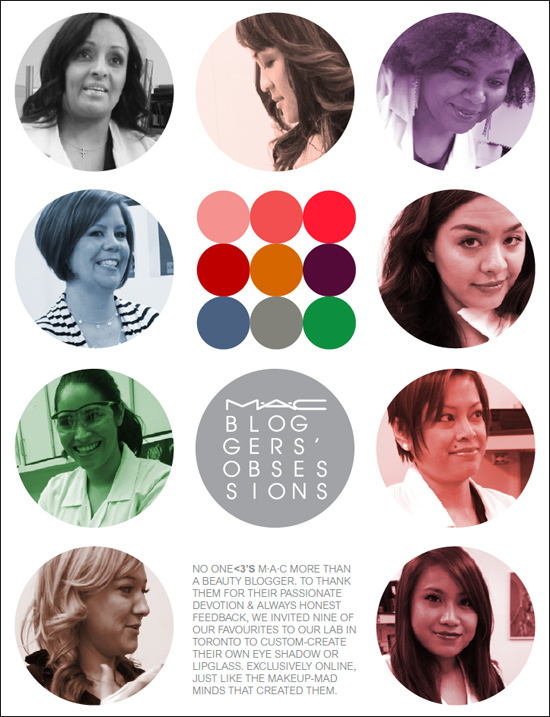 The MAC Bloggers’ Obsessions collection not only gave us insight into the favourite product formulations of some lovely beauty bloggers but also highlighted the value that brands are placing on blogs and social media, and makes us well aware that what we say counts- make your voice heard, as people are listening. Home hair removal devices have been around for quite a while with a variety of products on offer. 2011 saw these types of devices (both laser and IPL) get even more popular as literally EVERY brand was investing in this area. There were offerings from Philips- the Philips Lumea, the Tria laser, Homedics Me My Elos and Boots Smooth Skin to name but a few. What’s interesting is how the technology has developed to make these types of devices suitable to mass consumers- and that brands think people are savvy and involved enough to WANT to pay the £400 price tag, which shows a rather radical shift in how consumers used to shop, and an overwhelming acceptance for investing in their beauty routine. 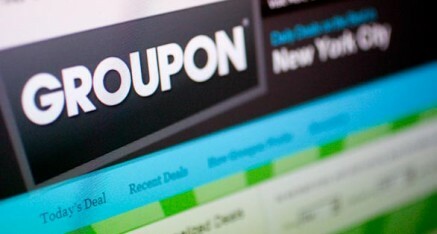 Massages and spa visits used to be a luxury but the popularity of group buying discount sites like Groupon, Wahanda and Living Social has meant that these are now a regular occurrence in many people’s lives. As well as introducing people to the delights of hot stone massage, they are also introducing a brand new demographic into the areas of high level beauty treatments, with their low cost promise seeing a rise in people undertaking laser hair removal, Botox treatments and semi permanent makeup. I could argue about how ethical and moral it is to offer such treatments on discount sites (which is another article) but I will say that they are making costly treatments way more accessible and if performed well and correctly means that many people can now enjoy cut price high level treatments- a great step in making treatments like semi permanent makeup and laser adult braces (these have been on there!) more socially acceptable. Beauty adverts have often blurred the line between promising an aspirational dream and creating a fiction, and there have been many battles (think the false lash/lash extension debacle). Enough is enough with promising women unattainable images and the ASA has made some big calls this year. 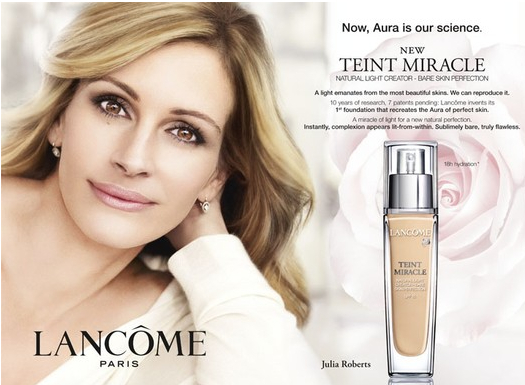 In its firing line have been Lancome and the Julia Roberts foundation ad, where she was so Photoshopped she looks like a Second Life star and MP Jo Swinson has been our spokes-model in this fight, complaining against “Overly perfected and unrealistic images, and that celebrities pictured were not representative of the results the product could achieve”, and her complaints have been upheld in regards to Lancome and Maybelline. Another brand that was on the naughty step was Rimmel who advertised their 1-2-3 Looks Mascara using lash inserts on a model. Hopefully the brands will have taken all this on board and show more realistic product ads in 2012. That, or they’ll use younger models and Julia Roberts won’t get a look in (what me, cynical?). 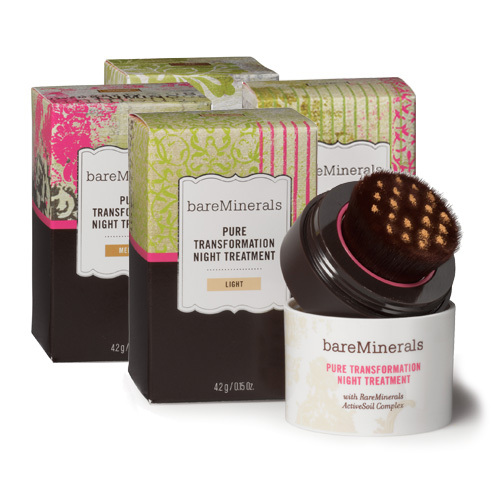 Taking beauty products off overnight used to be the accepted stance, and then along comes one which challenges this notion, the bareMinerals Pure Transformation Night Treatment is supposed to be worn over night. You apply it like you do a mineral foundation, but rather than the tagline ‘so gentle you can sleep in it’ that minerals like to carry, this mineral product is designed to create more luminous skin whilst you sleep, with pore reduction and faster cell turnover promised by the company. What this means is that applying this skin tinted powder will involve you looking ‘made up’ whilst you sleep, and avoiding that ‘morning after’ shadow when you’re with new *ahem* house guests. I like the idea, I just hope the product lives up to its promise in terms of skincare. Other products that do a similar style treatment would be the long-lasting Diego Dalla Palma Semi Permanent mascara, which actually dyes your lashes, so after 5 days of use your lashes are temporarily darker. Did you get involved in any of these 2011 beauty trends- and which do you love? Crazy- knew you could get posh serums now, but can’t believe Superdrug does Botox!